After weeks away from Delhi, I finally got back to pounding the home pavements yesterday, during the slowest 12km run EVER in the history of the universe. 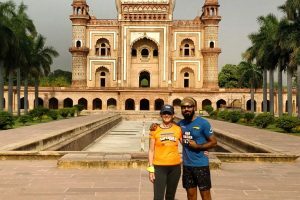 Since Delhi is now hot hot hot, we started early – we, by the way, is yours truly & her partner in crime, the affable and long suffering Ripu Daman. A much faster runner, this charming young man happily lets me dictate the pace and pretends not to notice when I regularly slow down, or suggest walk breaks. 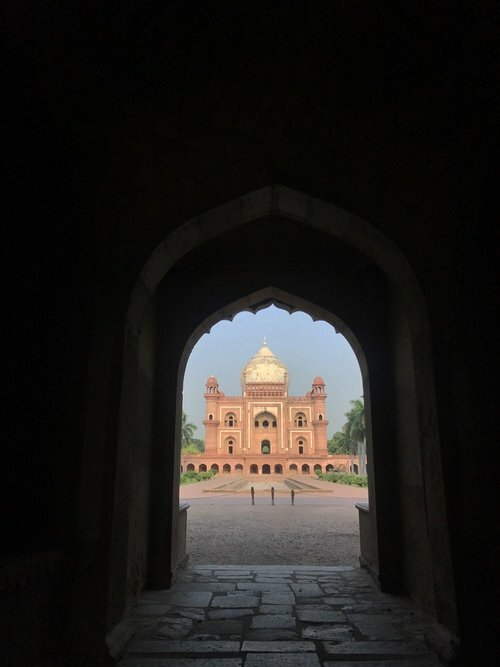 Yesterday, however, my slowing down took on a whole new dimension, since we stopped by to visit Safdarjung’s Tomb, a magnificent mid-18th century mausoleum. It’s this new concept I’m trying to launch – sightseeing while running 😛 – and judging by yesterday’s visit, it was a great success. 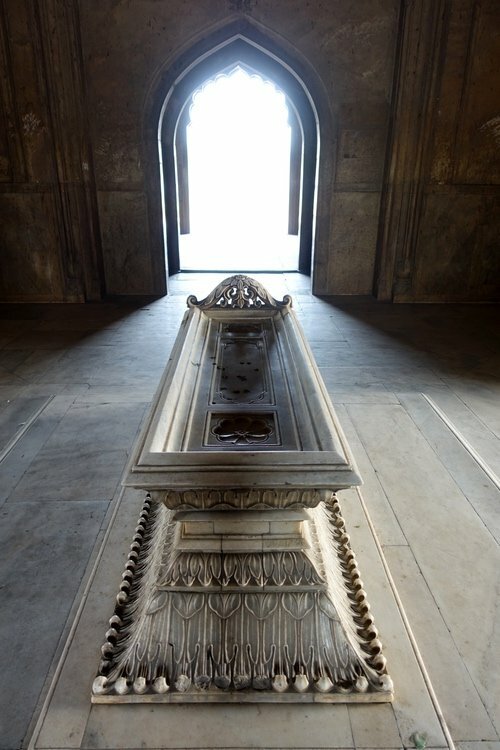 There were precisely 3 other people there, doing a fashion shoot, so we wandered around the mausoleum and the fabulous gardens alone. Such a treat to have all that beauty for oneself. Makes the dawn wake-up SO worth it. And here’s a sneak peek of the fashion shoot.